With a power generating capacity of 600 MW, Pha Lai 2 is the largest coal-fired plant in Vietnam. As part of a master plan by the Vietnam Ministry of Industry to meet rapidly rising demand for power by doubling the country's generating capacity, the power station was constructed at a cost of $540 million by Electric of Vietnam (EVN). Located approximately 65 km northeast of Hanoi, Pha Lai 2 and the adjacent Pha Lai 1 power station (a Russian-built facility with eight 220 t/h coal-fired boilers and four 110 MW turbines) are owned and operated by a wholly owned EVN subsidiary, Pha Lai Thermo Power Joint Stock Col. (PPC). It is estimated that the two power stations supply approximately 80% of Hanoi's power. In accordance with the Ministry of Industry's master plan, no more than 20% of their power is allotted to private power companies, and the remainder goes to EVN. In 2002, Yokogawa successfully designed, installed, and commissioned a CENTUM CS 3000 distributed control system (DCS) for the Pha Lai 2 power station, and it has operated to date without any significant problems. Along with the Yokogawa DCS, a full replica plant simulator was installed to provide plant operator training. The DCS and all related systems are maintained by Yokogawa Vietnam under the terms of an annual maintenance contract. Power demand from the national grid is high, and the Pha Lai 2 power station covers a significant percentage of that. It needs to provide a very steady supply of power 24 hours a day, 7 days a week, all through the year. 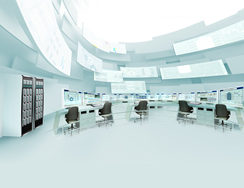 Yokogawa's highly reliable CENTUM CS 3000 DCS makes this possible. In addition, Yokogawa transmitters installed in the power island area are contributing to the high overall reliability of this power station. 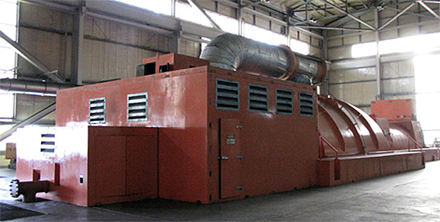 The CENTUM CS 3000 provides integrated control of the power station's steam turbine control system, water treatment PLC, wastewater treatment PLC, ash handling PLC, burner management system, and coal handling system, enabling the data from these systems to be monitored in real time on graphic displays. This gives plant operators all the information they need to take quick and effective action whenever needed, thus ensuring the safe operation of the plant and the stable supply of power to the national grid at all times. Coal-fired power plants produce significantly more greenhouse gasses than plants that rely on natural gas and other fuels. Thanks to the fine-tuned boiler combustion control configured in the CENTUM CS 3000 system and the use of an oxygen monitoring system that can precisely track the air/fuel ratio in the stack, it has been possible to optimize the combustion process under varying load conditions and keep CO2 emissions at this plant well within regulatory guidelines. In addition, a Yokogawa solution has made it possible to monitor and strictly control the CO, NOx, and SOx values in the flue gas and the pH value of the water from the plant's cooling towers. In these ways, the Pha Lai 2 power station is maintaining a sustainable operation. For effective operation and engineering staff training, the training simulator uses the test features of the CENTUM CS 3000 to simulate the power plant. The operator training interface accurately replicates the plant control console and graphical interface. Nguyen Khac Son, PPC's Chief Executive Officer, said, "We are very happy to be using the Yokogawa CENTUM CS 3000 process control system. We are now operating nonstop without any major problems, using Yokogawa's system and field transmitters. We are operating near capacity almost every day and are sending this power to the national grid. Continuous operation is a very important point." He continued, "The CENTUM CS 3000 is the brain of this power station and the field transmitters are important sensors for monitoring all power plant equipment and processes. We have a good relationship with Yokogawa Vietnam and look to working with them in the future."